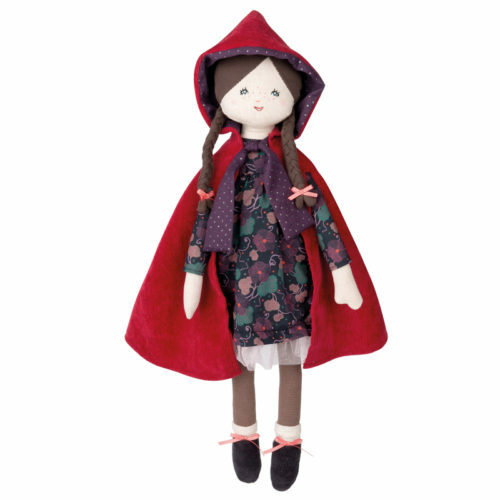 Part of Moulin Roty’s ‘Il Etait une Fois’ (Once upon a time) range, the Little Red Riding Hood doll is as sweet as she is brave. 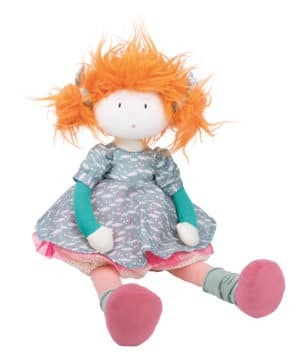 Such a classic fairy tale character, she will be sure to inspire fabulous adventures and encourage imaginative play & story telling! 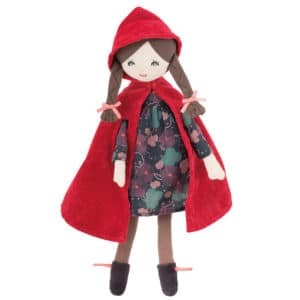 Little Red Riding Hood is outfitted in a floral patterned cotton dress, trimmed at the hem with sparkly pink tulle. Her beautiful cape, with a lined hood, is made from red fine corduroy and it is fastened with a plum coloured tie. 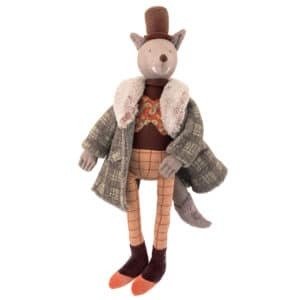 Both the dress and coat are removable (velcro fasteners are used for the dress). 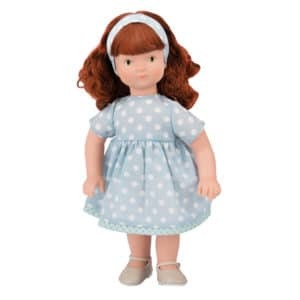 The outfit is complemented by striped jersey leggings, lace socks and charcoal grey velour shoes finished with satin bows (these items form part of the doll’s body and are not removable). 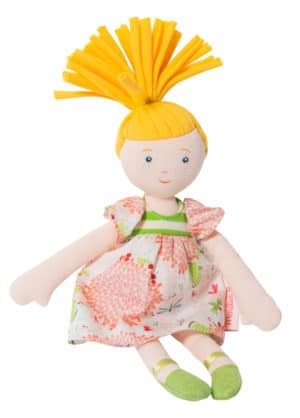 Her face and hands are made of a linen weave cotton and her beautiful long plaits are made of jersey. 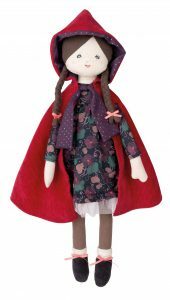 Red Riding Hood’s facial features are delicately detailsd – with embroidered eyes and mouth and hand painted nose, freckles and rosy cheeks. 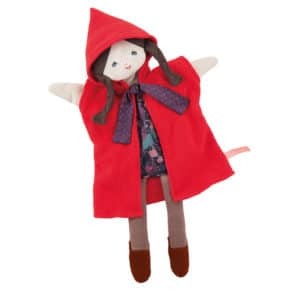 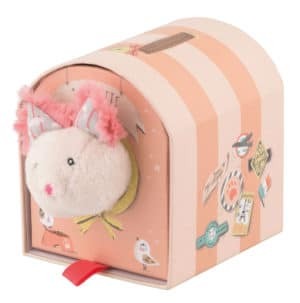 Little Red Riding Hood is also available in a mini size as well as in a hand puppet.